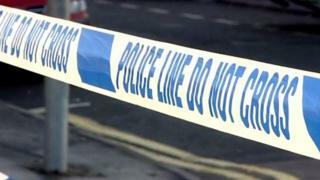 A man from Greater Manchester has been charged with terrorism offences. Adam Wyatt has been charged with encouragement of terrorism and dissemination of a terrorism publication under section 1 and 2 of the Terrorism Act 2006. The 48-year-old is due to appear at Westminster Magistrates' Court on Wednesday. The charge is not linked to the Manchester Arena attack, counter-terrorism police said. Wyatt, of Bridgewater Street, Salford, is also charged with possessing information likely to be useful to a person committing or preparing an act of terrorism under section 58 of the Terrorism Act 2000. There is "no intelligence to suggest a specific threat to the communities of Salford or Greater Manchester", police said.